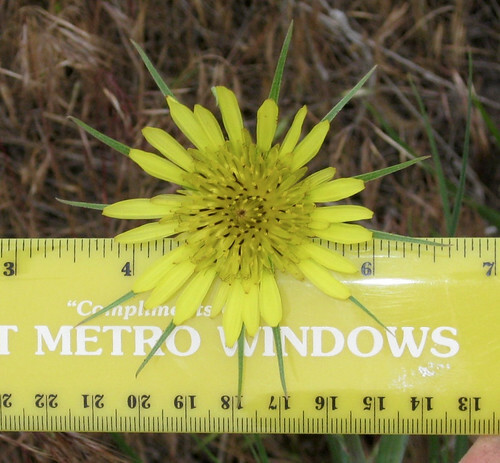 The taproot of salsify, though this one was harvested to early and is too small to eat. Note the slenderness of the leaves and white sap. 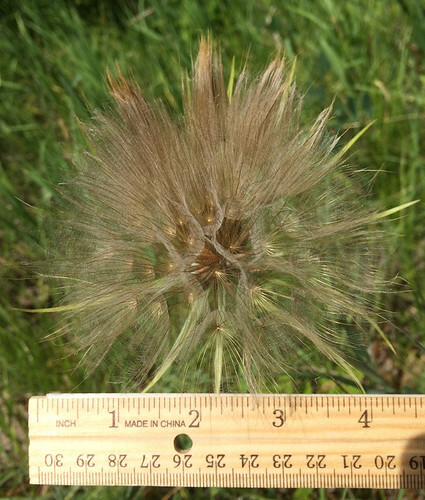 Salsify flowers look like dandelion flowers but with brown markings on their stamens and several green, radial spikes. 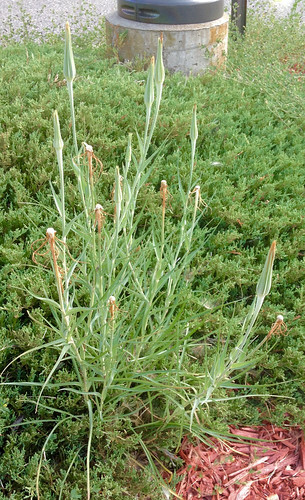 The plants themselves grow to over two feet tall with narrow leaves partially clasping the stems. 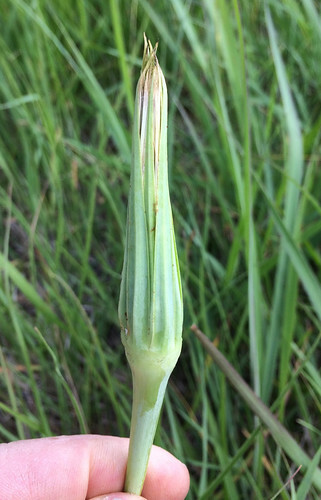 Once the flower has been pollinated it (technically "they") close up for a few days to grow the seeds. The "puffball" seedbeds are huge compared to other members of the dandelion family! The seedbeds are easily 4" across. 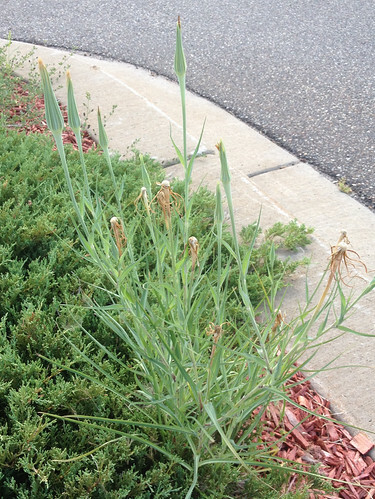 Every summer I drive from Texas up to my parent's place in Minnesota and see pale, green Salsify lining the ditches the whole way. They are another "nurse plant" who's job is to rapidly expand across bare soil, covering it to keep it from being washed away in rain and adding organic matter back into the soil with its thick, long taproots. 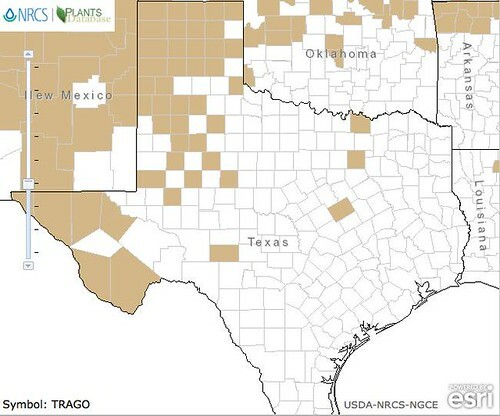 These "weeds" need full sun, even in Texas and so won't grow if shaded. Like dandelions, Salsify forms a "puffball" when it goes to seed but these puffballs are massive, being three inches across. 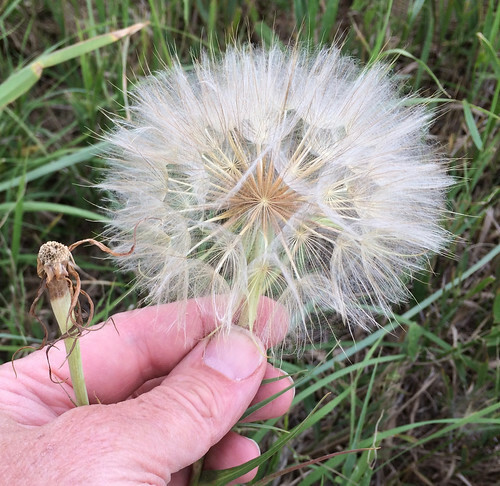 My mom used to collect Salsify puffballs and spray paint them for use in floral arrangements. 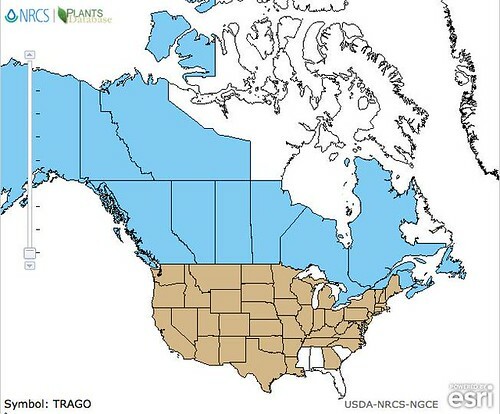 A cut/broken plant will bleed white sap which oxidizes to a brown color. 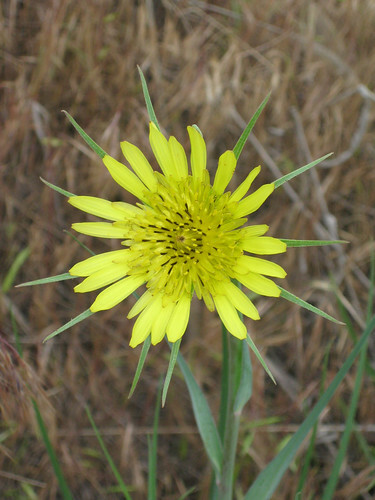 The leaves of Salsify are used like dandelion leaves to handle their somewhat bitter flavor. The yellow flower petals have a pleasant, mild flavor similar to dandelion flowers and can be eaten raw or brewed into tea. Note that the leaves are slender and lack the lobes of other members of the dandelion family. The biggest leaves can grow to over 15" long with bases over 1" across where they clasp the stem. Salsify taproots are the best part, with Tragopogon porrifolius being preferred over Tragopogon dubius. These pale, who roots can be eaten raw or cooked like carrots. Harvest them when the above ground portion has just turned brown. 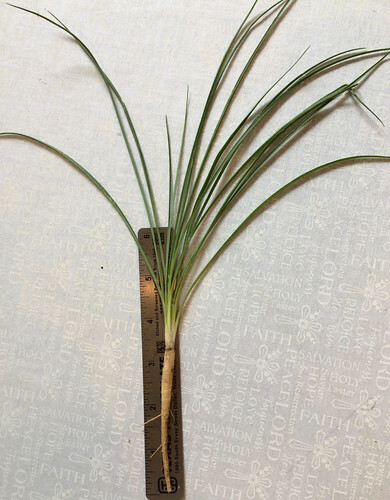 These roots lose their flavor relatively soon after harvesting so use them right away.